Saving Time – we all look for ways to do it. I’ve written a couple of posts recently on the topic. One talked about using Pinned Tabs in Firefox. If you are like me, you use your computer and your iPad and your smart phone constantly. You’ve probably done something else that I’ve done. You’ve tried to hammer a nail with the handy pair of pliers or the end of a screwdriver. It doesn’t take long to realize that the right tool can make a world of difference. Here are some tools that I use regularly. There may be better tools out there, but I haven’t found them and until I do these work for me. Yeah, I keep my eyes open all the time for better tools. This won’t work on live webinars, but it works well enough that I regularly skip the live webinar and watch the replay if I don’t think there is going to be a lot of interaction during the live session. 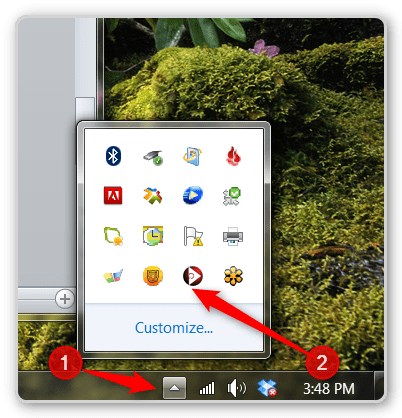 Enounce works on PCs and Macs. It costs a little less than $30 and it is worth every penny! A small screen will appear with a slider. #1 – This is the icon on my desktop. For Mac users it is a small icon at the top of their window. I know that I watch a lot of videos, but giving me 260 hours of my life back for $30 seems like the best bargain I’ve ever taken advantage of. BTW the application lowers the pitch of the speakers as you speed the video up. You don’t the the chipmunk/Donald Duck squeaky voice sound. Swift costs less than $3 does the same thing on an IPad. It will only go to twice the speed of the original and doesn’t record your time saving, but it works very well. I use this while exercising on my indoor bike. I’m definitely getting double value out of the exercise time. I have not used it, but I understand that the Dice player works well for Android phones and tablets. 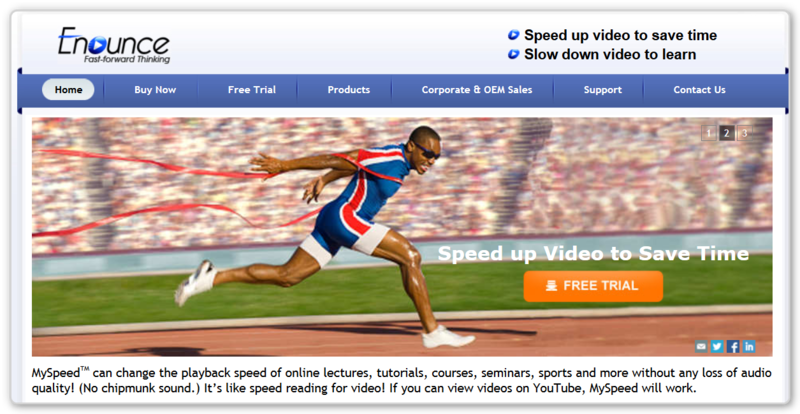 YouTube has a way to speed up their videos – go to http://www.youtube.com/html5 and sign up for the LABS trial. This will convert you over to the HTML5 viewer which has a speed up option built in. 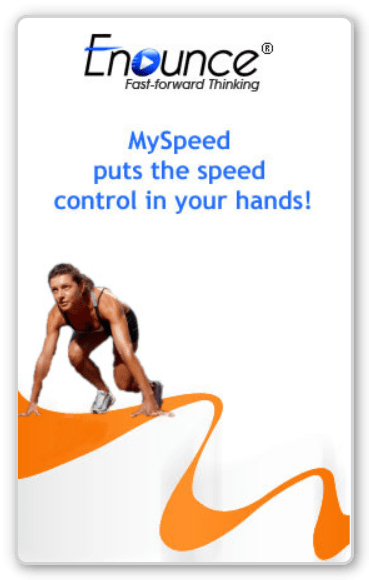 There is also a free video viewer called VLC. It would speed up or slow down videos that you have downloaded to your computer. 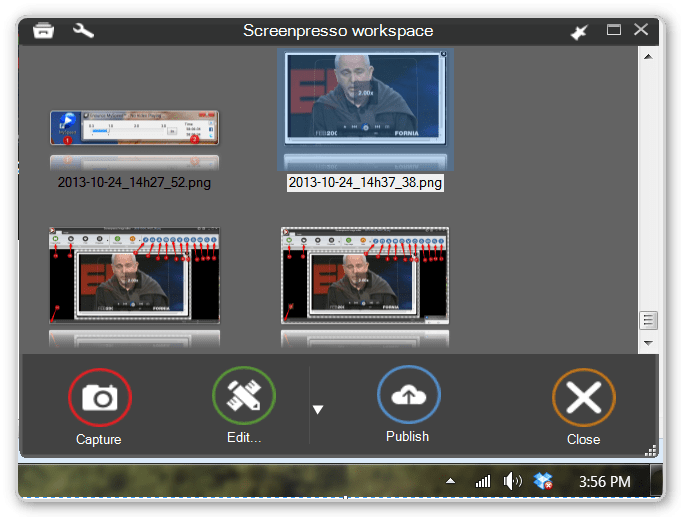 ScreenPresso is screen capture software. I do a lot of training (like this blog post) where I capture portions of a screen, annotate them, blur parts of them, put text on them, etc. Being able to annotate the captures without bringing up an image editor like Photoshop is a real time-saver. The basic version of ScreenPresso is free. I went ahead and purchased the Pro version (about $25 – one time). The main reason is that I like the rounded corners on my screen shots. ScreenPresso connects to your PrintScreen button. When you click on that key a cross-hair appears on your screen and you drag your mouse to mark the area you want. ScreenPresso will leave any menus open while you make your captures. I have used other packages that clicking on the capture hot-key automatically closed any drop down menus that were open. Since I usually wanted to show that menu and what was in it, this was a problem. ScreenPresso automatically saves your screen captures onto your hard disk. This is a real time-saver. You have an editor which allows you to scroll through the screen captures, pick the one you want to modify it. 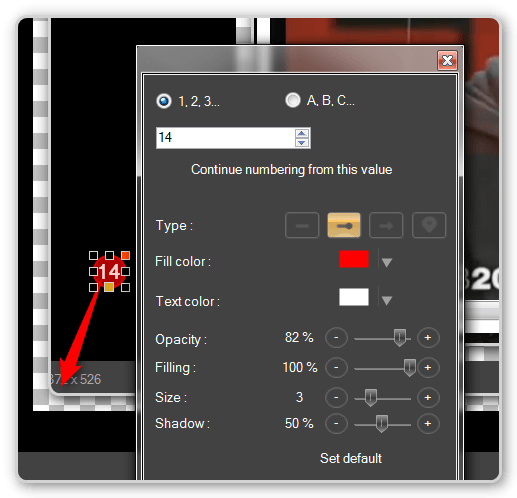 When you place something on the screen, there are standard little boxes on the corners and sides that let you resize the item. What is different is that the one in the upper right corner is colored differently. If you put your mouse on that small box, a secondary menu opens up and lets you modify the properties of the item you just added. For example, you can change the color of the arrows. You can see the red box in the upper right corner of the number 14. Hovering on that box opened the arrow properties box. When you click on the icon (and after you capture part of your screen), this window opens. You can scroll through all of the screenshots you have captured. You can edit, rename or delete them. I usually save the ones I will use in a blog post or eBook into a special folder with a name that reminds me about what I wanted to use the shot for. Saving Time – Tip #3 – Using Skype to Make Phone Call. You might wonder why I’m including Skype. I’ve got a couple of reasons. First, the $60 a year upgrade allows me to hold video conferences with several people. Being about to see the person you are talking to is huge! Second, I find making phone calls at my desk is difficult. I’ve done computer work at my desk for so long that anything that isn’t computer work tends to make me edgy and my fingers start reaching for the keyboard. Again the $60 upgrade allows me to make unlimited calls anywhere in the US and Canada. I even made a setting’s modification that tells people’s called ID that the phone that is calling is my cell phone. I can copy and paste numbers into the Skype call box and made the calls. It is using the computer so my feeling of needing to work at the computer is satisfied. The copy and pasting of number is great. Sometimes I use Google’s dialing system if people are in my contacts list. 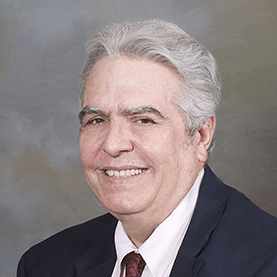 It makes a good place to store my internet marketing details – things like links to the squeeze page for an eBook, and the link to the download, and the link to the Thank You Page – etc. There you have 4 tips on Saving Time as you work. Great info in your article. I use all of these except for Preso. It looks neat although I use Skitch mostly for these functions and it syncs directly with Evernote which is my go to saving time resource. Preso seems to have more features but I probably won’t try it. I like the simplicity I get with the Evernote integration. However I was wondering if preso works for both Mac and PC. I know the other 3 tools you recommended do. 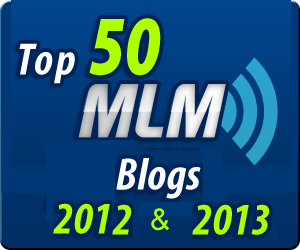 Lori Thayer recently posted..Why Automate Social Media? Sorry it ScreenPresso doesn’t work with Macs. People recommend things that I’m sure you are already using. Amaze, excellent weblog arrangement! The best way lengthy will you be posting to get? you’re making blogging glance effortless. The complete appear of the website is extremely good, when efficiently as the content material!